Maintaining a refrigerator may seem like a job for the professionals, but there are actually a lot of things that you can do to help ensure that your appliance has a long and useful life. While you may not be mechanically savvy enough to get under the hood and fix more serious problems, you can absolutely handle routine maintenance tasks without much trouble. Regularly putting in a few minutes with your fridge will help to keep your bills down, your refrigerator running and your food cold. Refrigerators work by using a heat pump to expel heat through a condenser coil. This part of the pump is usually known as the “warm reservoir.” In order to function properly, this coil must be clear of anything that impedes its ability to expel heat. Unfortunately, it is also a dust magnet. This means that every few months, you should take the time to pull your refrigerator away from the wall, unplug the appliance and vacuum the dust that collects around the condenser coil. Typically this coil is located at the bottom of the back side of your fridge. If you haven’t cleaned this coil in a while, be prepared to clean out more dust than you have ever seen. When you’re done, your fridge should work more efficiently, meaning that it draws less electricity, keeps food at a more stable temperature and lasts longer. Another important maintenance task that many homeowners neglect is checking the seals around the refrigerator door. These seals break down over time or lose their magnetism, meaning that they no longer are as effective at keeping the heat out and cold in. To check on your seals, take a piece of paper or dollar bill and close it in your refrigerator door. With the door closed, attempt to pull the bill out. If you encounter little to no resistance, you should probably get new seals. If you do encounter normal resistance, try this test on your freezer door and in a few places around your refrigerator door to make sure. It is important to know whether your refrigerator’s thermostat is accurate, as many fall out of alignment after several years. To test, look at the temperatures that your refrigerator and freezer are set to. If your dial doesn’t include a numeric degree, consult your manual. Typically, your refrigerator should be in the low 40s and your freezer should be between 0 degrees Fahrenheit and 10 degrees Fahrenheit. To test that your refrigerator’s thermostat is accurate, place a thermometer in a glass of water, place the glass in the fridge and wait one hour. If the numbers don’t match, your thermostat is off. 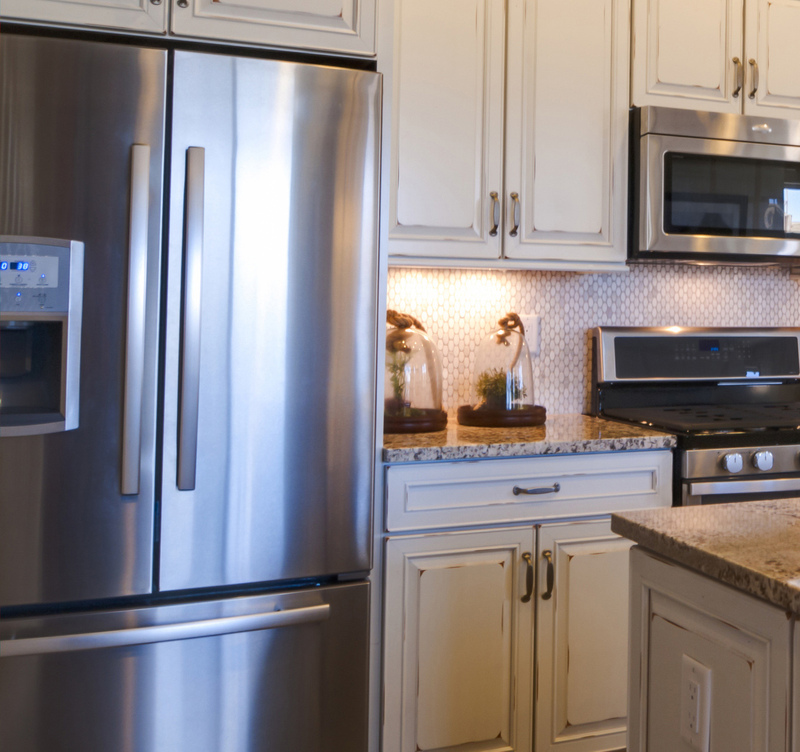 If you are concerned about the long-term well being of your refrigerator, or any other household appliance, consider purchasing a home warranty. An HMS® Home Warranty protects you from the high cost of repairing or replacing major systems and appliances in your home. Contact Sibcy Cline Home Services if you are in need of a quote for a new refrigerator or service for one. Blog article courtesy of: HMS Home Warranty. HMS Home Warranty is an industry leader with over 30 years of creating success for clients and providing peace of mind for customers. To learn more click http://www.hmsnational.com. This entry was posted in Home Maintenance, Home Services and tagged Home maintenance, refrigerator maintenance, Sibcy Cline Home Services by susanaknabe. Bookmark the permalink.